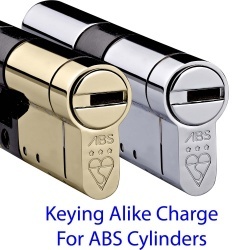 Avocet ABS 3 Star Kitemarked MK 3 Quantum Thumbturn Euro Cylinder Lock With Secure Key Registering. The highest acredited Euro Cylinder Lock on the market featuring Anti-snap, Anti-Drill, Anti-Pick & Anti-Bump security. 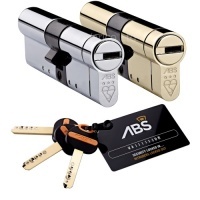 Varico Ltd are an authorised Avocet ABS Elite Centre and are proud to offer the ABS Euro Cylinder Lock as the Ultimate door security upgrade. 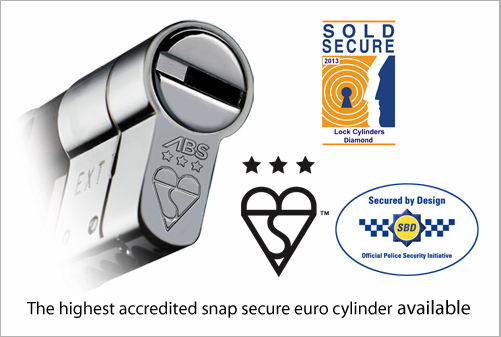 The Avocet ABS Euro Cylinder is the highest acredited euro cylinder lock available on the market - proven to protect homes against lock snapping attacks by featuring snap secure technology. 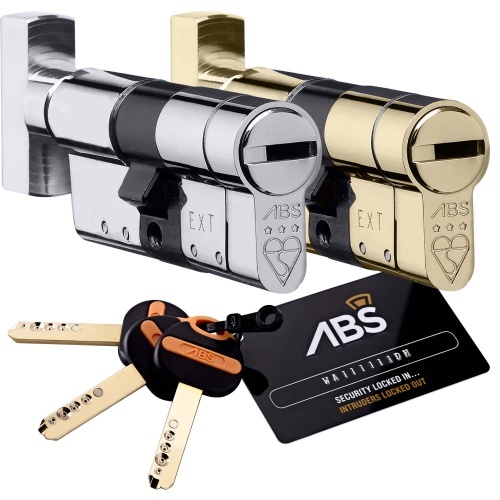 Suitable as a retro-fit the ABS Euro Cylinder is a 3 star kitemarked lock and offers anti-snap, anti-drill, anti-pick and anti-bump resistance and will achieve a 3 star rating without the need for any additional security devices such as cylinder guards or security handles. 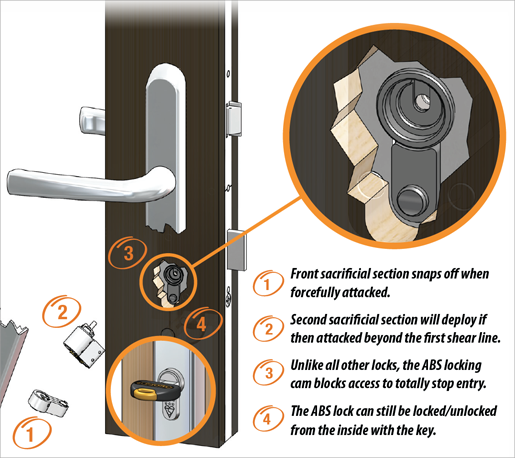 Unlike many other so-called anti-snap locks available the ABS Euro Cylinder has a patented locking cam that will completely block access to the lock case, no other euro cylinder has this same effective system. New standards for euro cylinders have now been developed - The new British Kitemark TS007:2014 3 Star rating and the Sold Secure Diamond standard now test for lock snapping as a means of forced entry. In these tests they simulate manual forced entry using known methods of attack under a specific time frame and using a range of tools that would be available to an opportunist burglar. 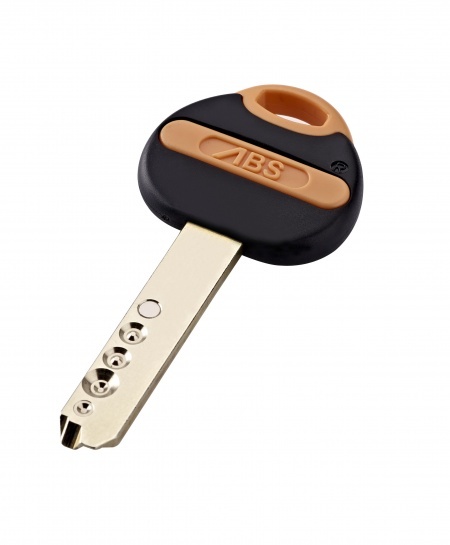 The ABS snap secure cylinder is the only retro-fit lock on the market that has met the 3 star requirement of the TS007 British Kitemark and has also passed the master locksmith association's highest standard - the Sold Secure Diamond rating. ABS also holds Secured by Design accredidation - the police preferred specification and is now RECOMMENDED AS A MINIMUM SECURITY REQUIREMENT AS GUIDED BY RISCAUTHORITY. The Avocet ABS high security Euro Cylinder is fits UPVC, timber & composite doors and is available in Polished Chrome & Polished Brass in a range of sizes to suit your requirements (please select from the drop down boxes). Please see our ABS Cylinder measurement guide here. Cylinders are also available to be Keyed Alike - please tick the Keyed Alike box if you want your cylinders to operate from the same key. 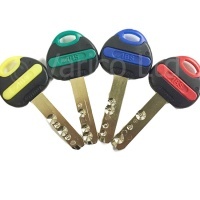 Please note: Keyed Alike cylinders are supplied with three keys in total - extra keys can be ordered if required. Contact Varico Ltd for more information on lock snapping or for more advice on how to protect your home against lock snapping. Varico Ltd - an authorised Avocet ABS Elite Centre. Order additional keys for your ABS Euro Cylinder. The highest security euro cylinder on the market. 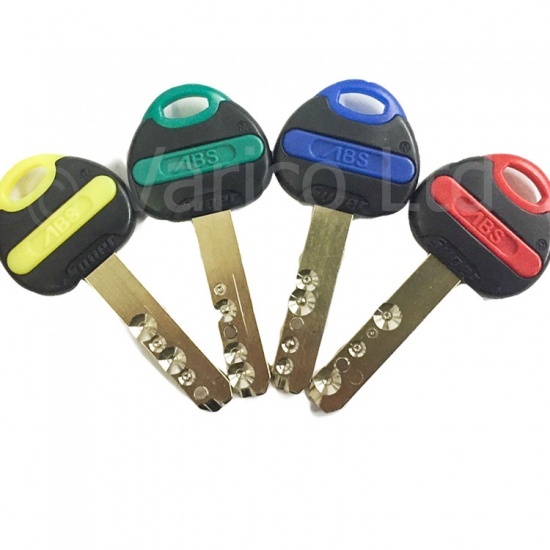 Anti Snap, Anti Bump & Anti Pick 8 + 1 Pin Euro Cylinder.